Lèon Foucault was a physicist from France who was most famous for his Foucault pendulum device-a delightful instrument that demonstrated the outcome of the rotation made by the Earth. He was one of the earliest scientists to attempt to measure the speed of light and he was the first to discover eddy currents. He is also credited for naming the gyroscope. 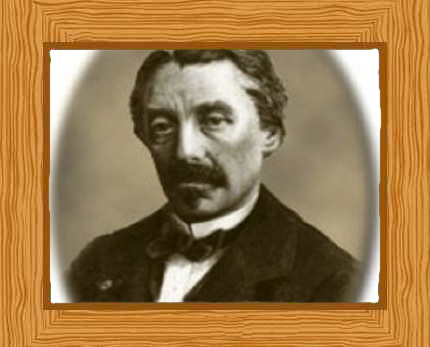 Jean Bernard Lèon Foucault was born in Paris on 18, September 1819; his father was a publisher and bookseller. During the first years of his life, Lèon was a frail child. He attended the Collège Stanislas where he became friends with fellow student Hippolyte Fizeau. Lèon did not apply himself at college but loved to construct toys and machines. His family thought he would make a good surgeon and Jean went on to study medicine in 1839. However, he developed a blood phobia and dropped medicine in favor of studying physics. Lèon Foucault became the experimental assistant of bacteriologist Alfred Donne for three years, working with him during the course of his lectures of microscopic anatomy. During this time, Louis Daguerre, also a Frenchman, had devised a photographic process called the “daguerreotype” and this photographic process interested Foucault. He improved on this photography method and developed a process for taking photographs through the lens of a microscope. These photographs were published in “A course of microscopy” in 1845. Foucault also teamed up with his old school friend Hippolyte Fizeau and together, they took images of the sun, their photographs clearly showing sunspots. They also carried out several studies on the intensity of the sun’s light compared to other types of light. They investigated the light from carbon in an arc lamp and the light of the lime coming from the flame produced by an oxyhydrogen blow pipe. They also undertook research on the interference of infrared radiation. In 1850, Foucault conducted an experiment with the use of “Fizeau-Foucault” optics apparatus so he could measure the speed of light. He calculated a value that was within 1 percent of the correct figure. Foucault’s also demonstrated that light does indeed travel more slowly in water compared to when it travels through air. His light studies put a convincing end to Newton’s corpuscular theory of light (that light was made of particles). A year later, in Paris, Foucault provided an experiment on diurnal motion (how the earth moved on its axis). He used a heavy, long and freely moving pendulum attached to the Paris Observatory’s roof and he demonstrated, to many invited scientists, the rotation of the plane of oscillation and proof of the earth’s rotation. The experiment was a huge success and amazed both the masses and the academic crowd. It wasn’t too long before “Foucault pendulums” were seen hanging in the biggest cities in Europe and also in America where they attracted huge crowds. In 1852 Foucault made use of (and named) gyroscopes in experiments. In 1855 he was awarded the prestigious Copley Medal by the Royal Society in recognition of his remarkable experiments and researches. That same year, he was also given the role of physicist in the Imperial Observatory, Paris. In September of that same year, He made another remarkable discovery; that the force needed for the rotation of copper discs increases if they are made to turn with their rims placed inside a strong magnetic field. He also found that the discs started heating up, due to eddy current (Foucault currents) acting on the copper. In 1857, Foucault devised a polarizer calcite prism and in 1858, he invented a test for mirrors used in telescopes. This “Foucault knife-edge” test determined if a mirror was absolutely spherical or if it had defects. Before he discovered this process, testing mirrors for imperfections involved much guesswork. Foucault travelled to Spain to observe and photograph a solar eclipse in 1860. Foucault received many honors in later years. In 1862 he became a member of the Bureau des Longitudes and an Officer of the Legion of Honor. Two years later in 1864, he became a member of the Royal Society of London, becoming a member of the mechanical section of the Royal Society of London the following year. He also published papers on his findings and modifications of James Watt’s centrifugal speed governor. Foucault showed people a way to view the sun without injuring the eye by placing a transparent silver film on the outer corner on the object glass of a telescope. Foucault fell ill in 1867 and his symptom quickly worsened. He died on 11 February 1868, aged 48 and was buried inside the Montmartre cemetery in Paris. It was said that the cause of his death was probably due to severe multiple sclerosis. He was such a great man though that his name is one of 72 that are inscribed on the beams that make up the Eiffel tower and he also has an asteroid named after him, 5668 Foucault.